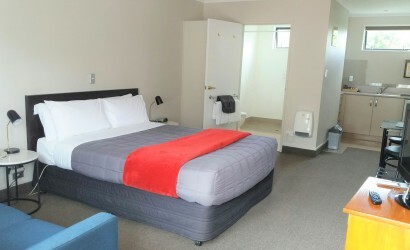 Serviced daily, Bay Palm Motel offers 16 units, with 3 room types, to suit every possible requirement from a business person to a family, a wedding party or sports team. 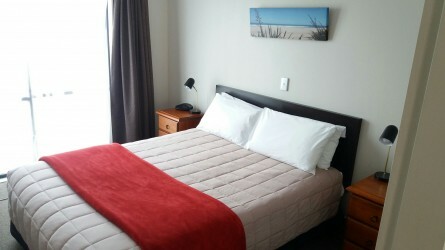 Bay Palm Motel is your home away from home in sunny Mount Maunganui. Our units have modern and clean bathrooms, some with spa baths. 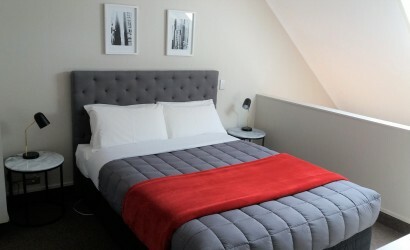 Other features of our spacious and quiet rooms include sky TV, kitchenettes, heated seasonal swimming pool, BBQ facilities, laundry, free wireless internet, we offer a continental breakfast delivered to your room. Some ground units available, please ask if required. "Excellent property, great value! Very clean and well presented! Would definitely stay again'! "Lovely decor, Comfy beds, Spacious lovely bathroom,!" "Motel is close to Bayfair mall & the beach. Our room had everything we needed, was very clean and tidy. Reception staff were brilliant! Heated pool was a bonus!"